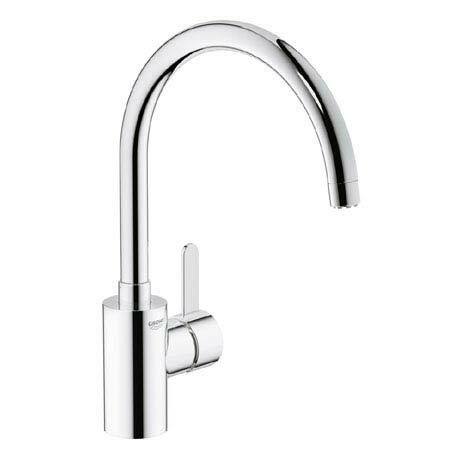 The Eurosmart Cosmopolitan is an elegant and functional kitchen tap. It comes with a high spout that swivels in a 360° range for easy handling. The tap is equipped with the equally robust GROHE StarLight® coating and is easy in use, thanks to the GROHE SilkMove® technology, which allows you to smoothly and accurately set the water volume and temperature. The GROHE EcoJoy® system is a unique water saving function that can reduce consumption by up to 50%.